Libena Hlinková and ČSLH General Secretary Martin Urban were on hand at a press conference presented by Edmonton Oilers Vice President and Executive Bob Nicholson along with the legendary Wayne Gretzky. The subject was the annual summer U18 international hockey tournament, which this year will play under the new name Hlinka Gretzky Cup. The video of the press conference, including an interview with Wayne Gretzky, can be found at http://www.rogersplace.com/news-media/, and the ceremony involving Libena Hlinková and Gretzky before a recent Edmonton Oilers–Nashville Predators NHL game at Rogers Place can be seen here. The Hlinka Gretzky Cup will take place from August 6 to 11, 2018 in Edmonton and Red Deer, Alberta. In Group A, teams from Canada, Slovakia, Sweden and Switzerland will compete in Edmonton´s Rogers Place, while Group B games involving the Czech Republic, Finland, Germany and Russia will take place in the recently-opened Servus Arena in Red Deer. The semi-finals and medal games will be played at Rogers Place. The Czech Ice Hockey Association, Hockey Canada and Oilers Entertainment Group agreed last year to rename the Ivan Hlinka Memorial Cup to the Hlinka Gretzky Cup and introduced a new logo. Based on that agreement, the tournament will take place in Canada in 2018, 2020 and 2022, while in 2017, 2019 and 2021 it will be co-hosted by the Czech Republic and Slovakia. 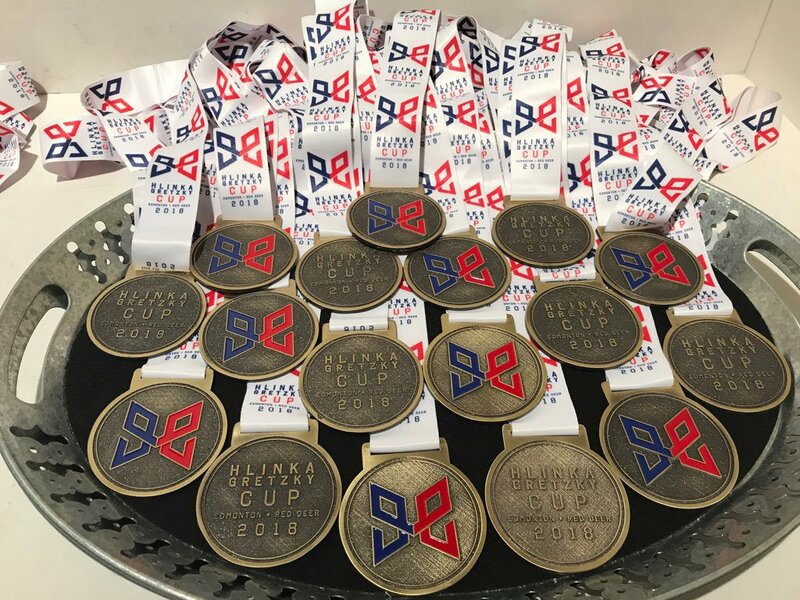 The Hlinka Gretzky Cup is considered, alongside the U18 World Championship, the best international hockey tournament for players under the age of 18. 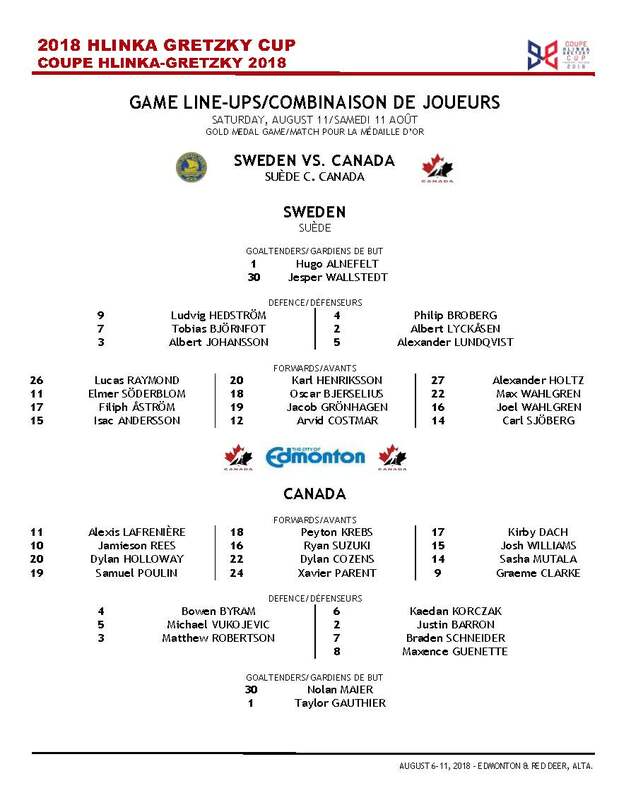 It regularly includes the Czech, Finnish, Canadian, Russian, Slovak, Swedish, Swiss and U.S. under-18 national teams. The summer tournament began in 1991 as the Pacific Cup, and in 1997 was taken over by the Czech and Slovak ice hockey associations. Since 2005, it has been named after Ivan Hlinka and played in the southeastern Czech town of Břeclav along with either Piešťany or Bratislava in southwestern Slovakia. The most successful team over the years has been Canada, with 21 titles. In recent years, Czech teams have done very well in the tournament, winning it for the first time in 2016, while finishing second in 2014 and 2017 and third in 2013. Future stars such as Sidney Crosby, Steven Stamkos, Jonathan Toews, Yevgeni Malkin, Alexander Ovechkin, Filip Forsberg, Patrik Laine and David Pastrňák have all played in the past.